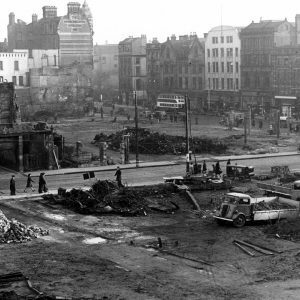 Bridge Street in Belfast City Centre is almost unrecognisable today compared to 1941. 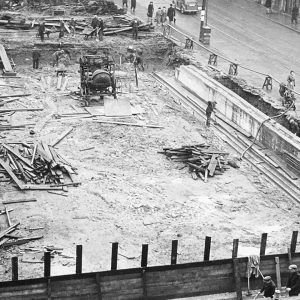 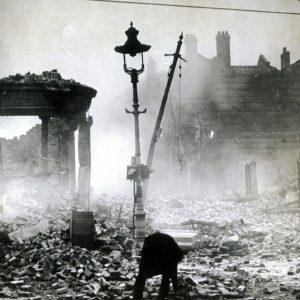 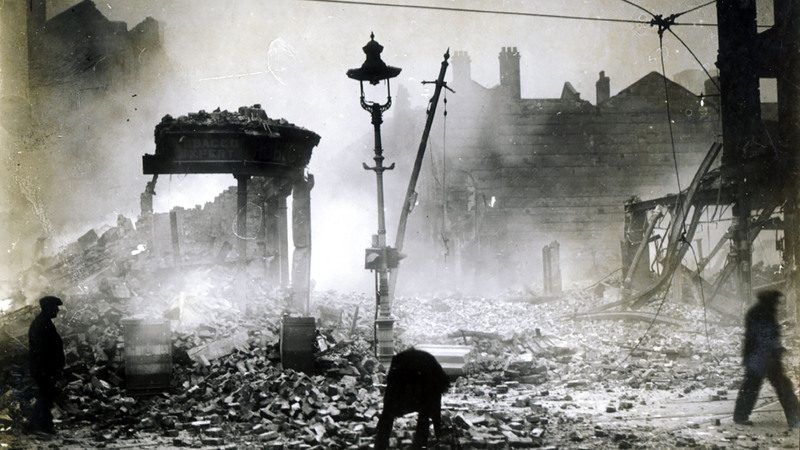 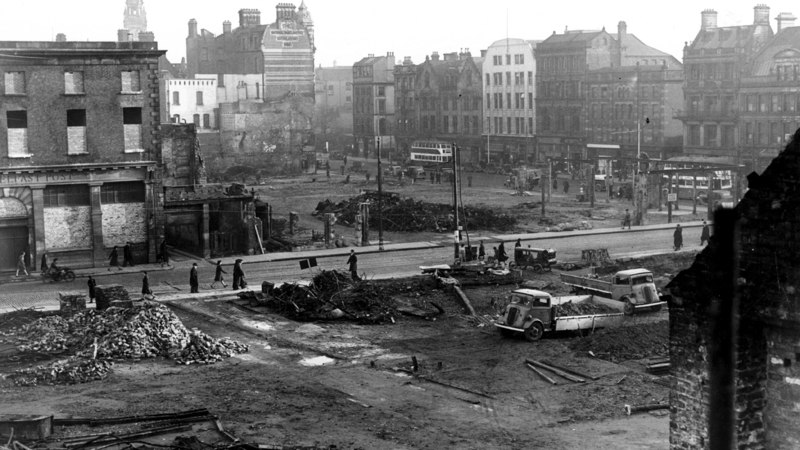 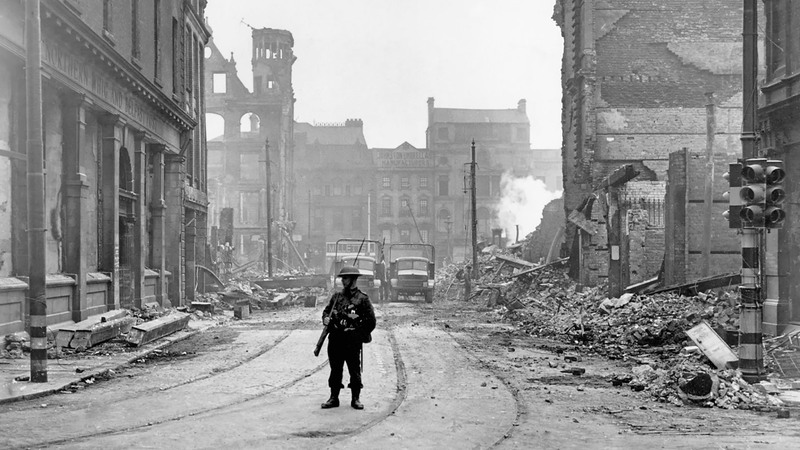 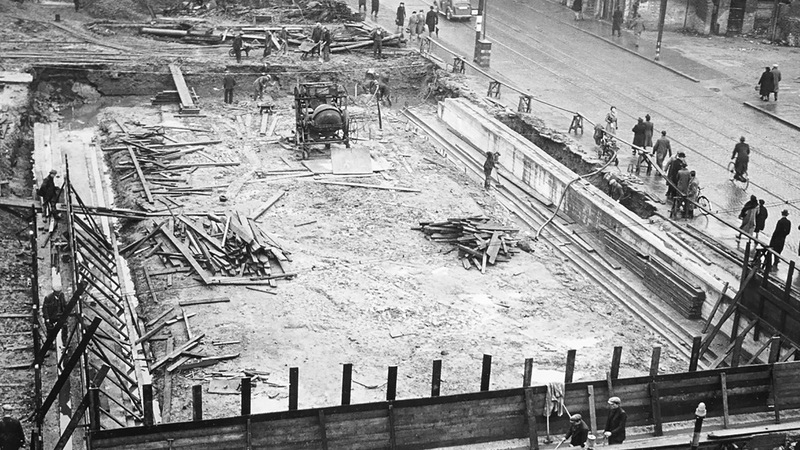 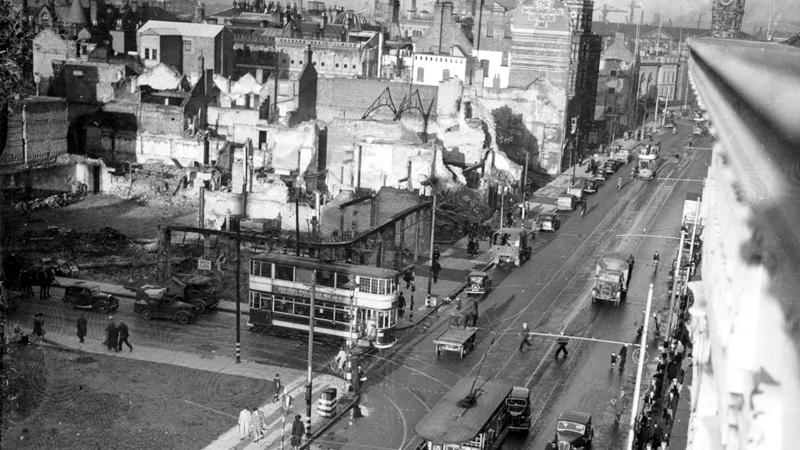 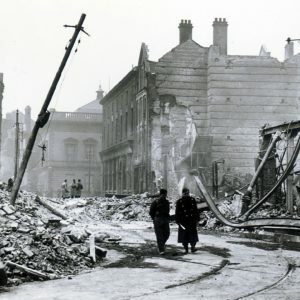 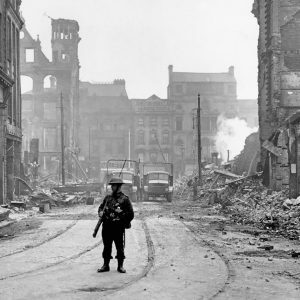 Much of it was flattened after the devastation of the Belfast Blitz. 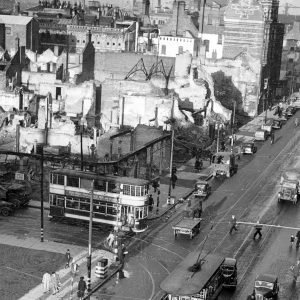 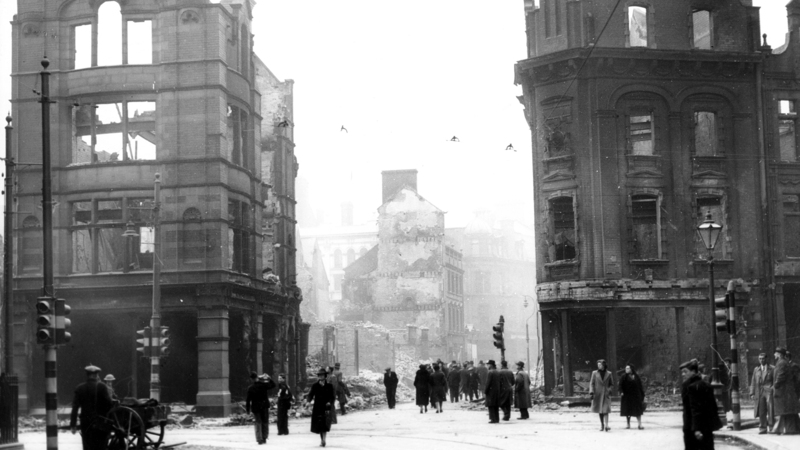 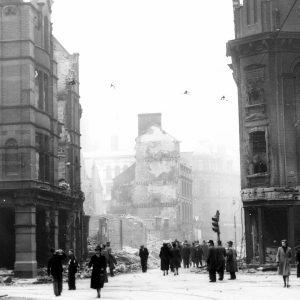 Photographers from the Belfast Telegraph captured the aftermath of the Belfast Blitz in 1941 when Luftwaffe bombs devastated the Bridge Street area. 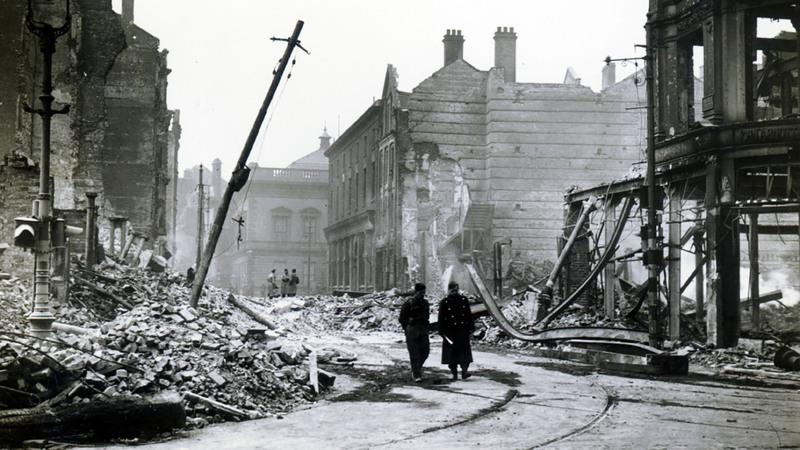 If you enjoyed this post on "Bridge Street, Belfast, Co. Antrim", please share with your friends and followers.